Let’s make things clear from the beginning. I loved The Art of Lainey, it was romantic and cute and so much fun.. but this one here, this is even better. So dark, so twisted, so amazing! Such a fantastic read, I can’t wait for book two and I can’t recommend it enough! I love, love, love it!! 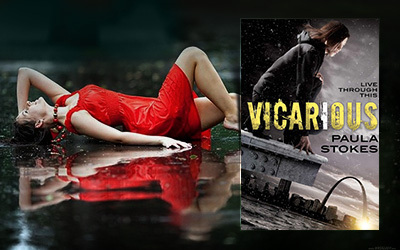 A couple of nights ago I was having a hard time figuring out what to read next, I wasn’t in a mood for anything apparently, and I picked up Vicarious, a book I’ve been hearing plenty great things about. I’ve also read a couple of books from Paula before (one that I loved to pieces – see above, one that I found entertaining enough.. and I still have to read Liars, Inc.), so I knew how good of an author she actually is. I was curious to see where her writing would lead me in this one, as this woman switches genres with so much ease, it’s actually impressive. ‘Cuz it works wonders! In the beginning I felt a bit of confusion, there was a point when I started wondering if this wasn’t in fact the second book in the series, because there was so much talk about past events I wasn’t yet aware of, but that might’ve been only my tired brain trying to sabotage me (I’m in desperate need of sleep – one nightlong sleep, instead of waking up every hour or so each.and.every.night! ), as I got over it soon after and I simply couldn’t let go of this book until the very ending (and long after as I kept thinking about it. I even cornered my husband in the morning and made him listen to all my ramblings about how insane this story was and how much I loved it). Winter is a great heroine. She is capable and caring. She is broken, but strong. She is in deep need of love, though in incapacity of receiving it. She feels lost and she needs to find the pieces missing in her life. Starting with the disappearing and possibly, probably the death of her sister. 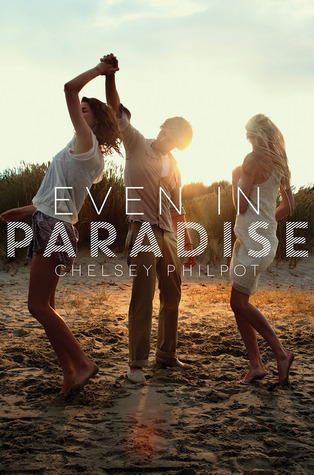 With the help of Jesse, her partner in crime, her friend (that could maybe become something more than that), she tries to discover what happened to her sister, Rose, who and/or why killed her, if it had anything to do with her actions or there was something she didn’t know that triggered this awful event. 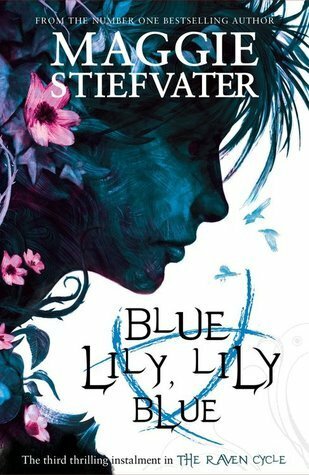 After all they’ve been through in the past (Winter, Rose and Rose’s ex-boyfriend, Gideon – the one that takes care of them), losing her sister feels like losing a part of herself and she has to know the truth no matter how it could shatter her, no matter if this means putting her life in danger. There was a soft line she crossed back and forth with Jesse, between friendship and some deeper emotions. I loved how patient he was with her, I loved how he tried to help her in her research, how he tried to protect her at all times. The relationship between Winter and Rose is heartbreaking. My heart ached for them, for the horrible lives they had to live before this story started, for their despair, their loneliness, the things they had to do, for how things came to be. Of course, I can’t tell you what exactly happened with Rose, because that’s what the whole story is about, I also was one step in front of Winter figuring it out, I do think it’s worth reading this story and uncovering this mystery step by step. It’s an head-spinning experience. Then, there is Gideon, I wanted to know more about him. I wanted to see more of him, as he played such an important part in the story, but somehow he was left in the roaming in the shadows. The revelation and the steps the reader has to take in order to reach it. It was twisted, it kept me on the edge of my seat, it made me wonder, contemplate; finding new pieces in the puzzle was both frustrating and exciting, and the bigger picture amazed me, though also filled me with dread. I wanted to know if she was dead. I wanted to know the killer if that was the case, I wanted to know what the hell was happening! It is subtle, but sweet. It is not demanding, though it is always there, at the reach of their fingertips, one kiss away from flourishing. The VISE (Vicarious Sensory Experiences,) technology. In Romanian ‘vise’ means ‘dreams’, and I guess it’s only fitting for this virtual reality concept. I liked what Winter and Jesse had to do for a living (yes, I am aware it’s not quite legal), all that adrenaline rush, how their experiences translated to other people. I liked what these VISEs also meant for the reader, like a door to the past, how they helped uncover the mystery, how they revealed other mysteries in the process. The impact those old, horrible experiences Winter (and Rose) had to get trough left on her mind. The deep wounds. Her mental struggles. The physical struggles even. Again her relationship with Jesse seen from this particular point of view. The ties between Winter and her sister. There are some other things I loved, I just can’t explain them to you as they might imply minor or major spoilers too, so I guess I will leave them to you to discover. 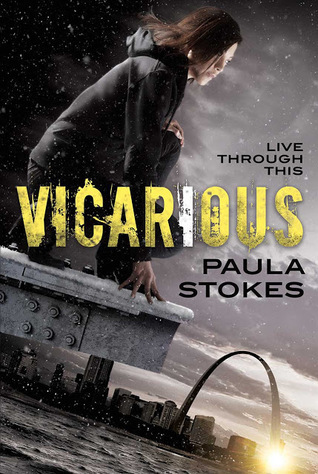 I loved everything about VICARIOUS. It is dark, enigmatic, action-filled, insanely beautiful to top it all off. I’ve had a blast reading this book and I can’t recommend it enough!